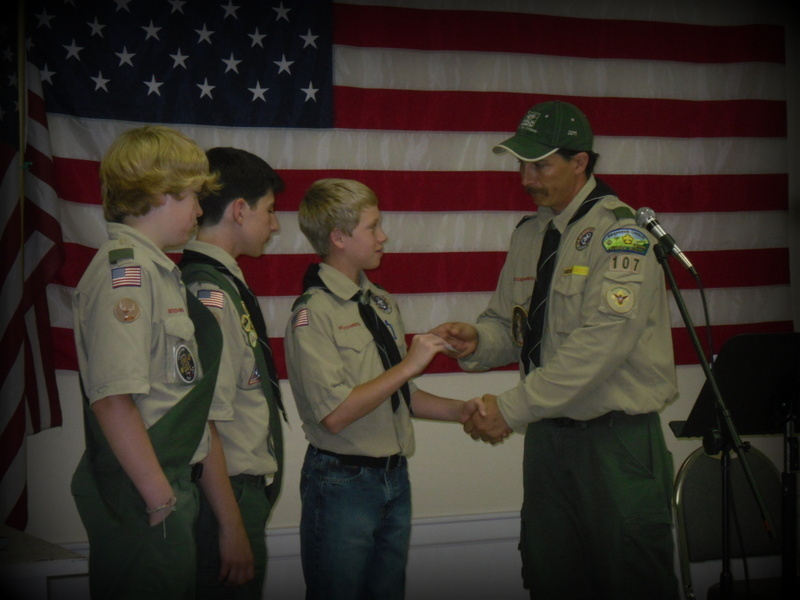 Tuesday, April 24th we had knot tying expert Phil Bailey as a guest at our troop meeting. A great time was had by all as we sharpened our knot tying skills! 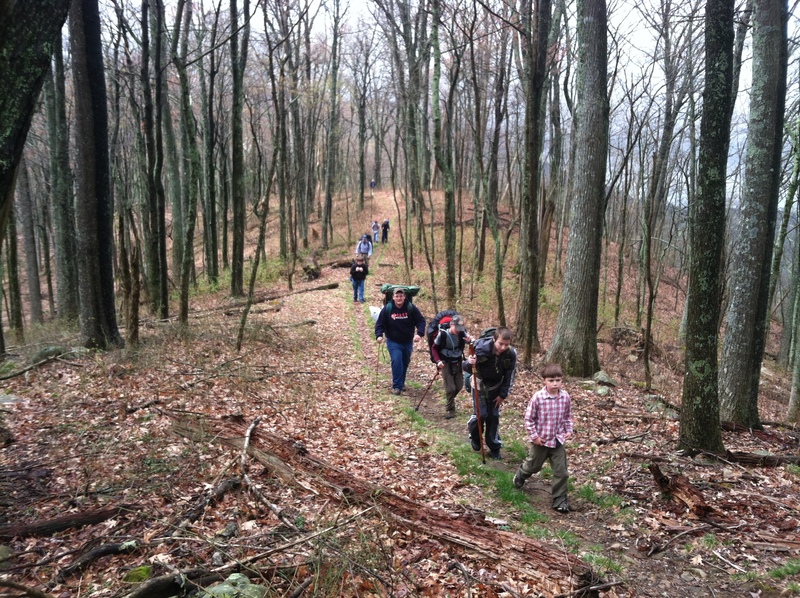 We had a great hiking/camping trip at Bays Mountain! Thankfully the weather turned out very nice. The rain held off and we all stayed dry (well except for the creek). the planetarium show, hiking around the lake, camping at a primitive log cabin, geocaching, hiking to the fire tower, participating in a team building low-ropes course, and much more! 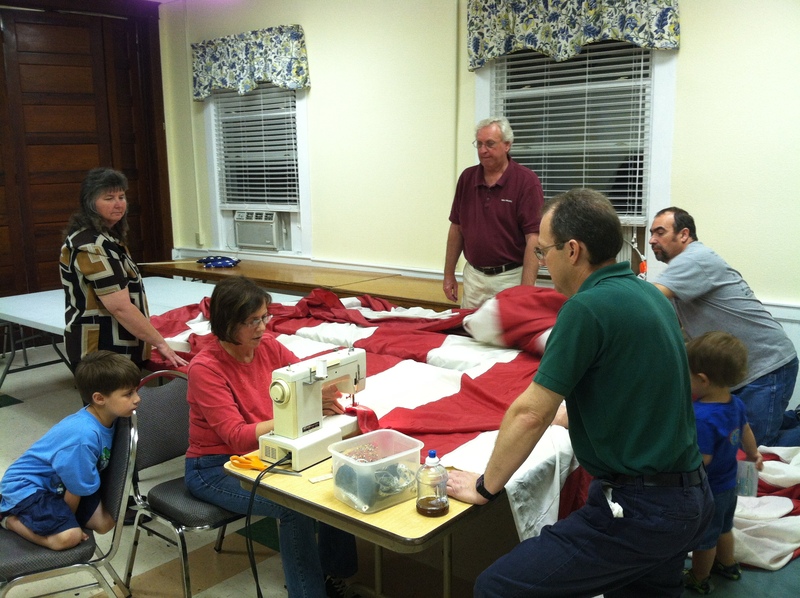 Our April 17th meeting was focused on the American Flag. 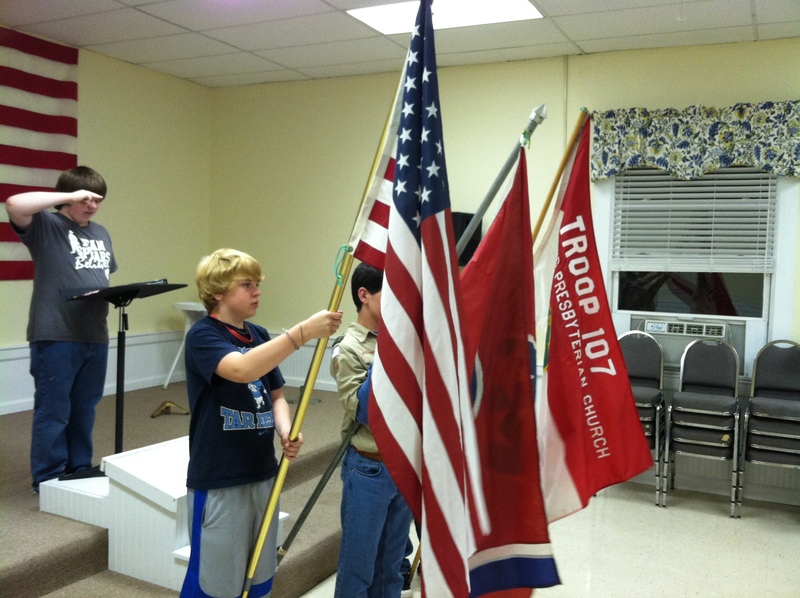 We spent our troop meeting working on flag ceremonies, studying flag etiquette & history, and repairing a large American Flag. 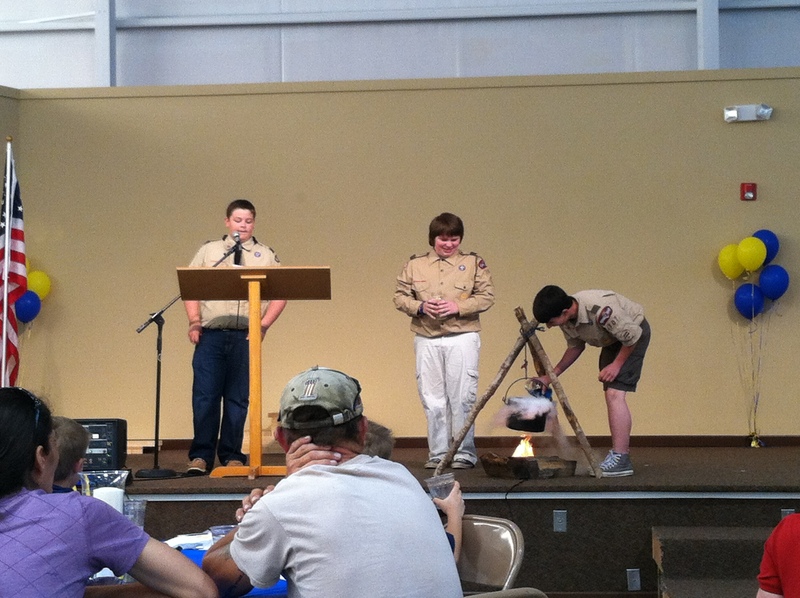 Boy Scouts from the Troop participated in the Pack 107 Blue & Gold Banquet at Virginia Avenue Baptist Church on Saturday, April 14th. 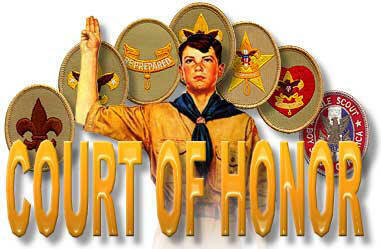 Several Webelos crossed over into Boy Scouts on Saturday and will be joining our troop. 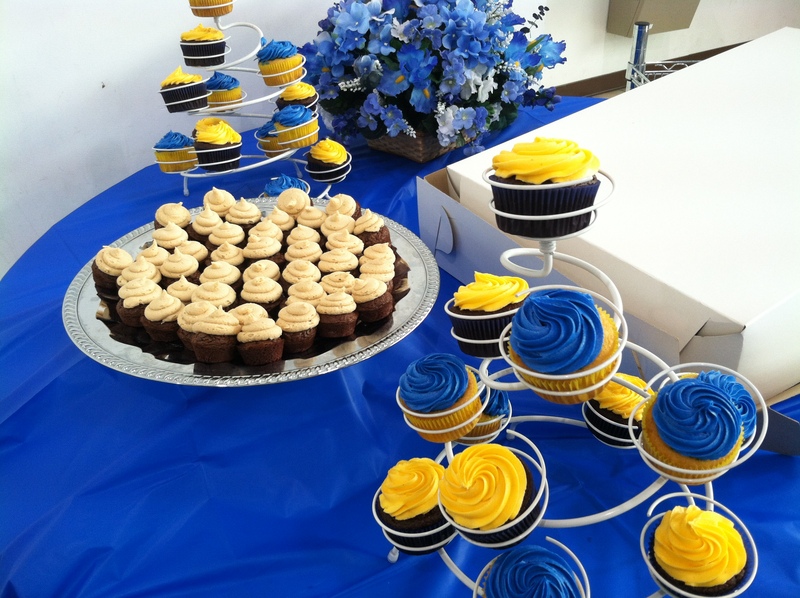 We are looking forward to seeing them at our next troop meeting! Congratulations to those who advanced in rank! Our Early Bird turn-in deadline is Thursday, April 5th. 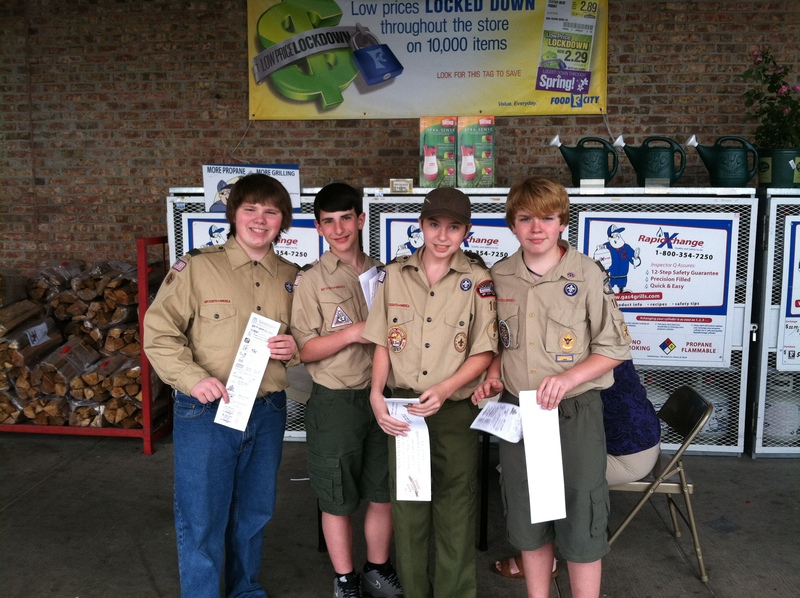 Please turn in your Expo ticket money at this Tuesday’s troop meeting. We hiked a total of 13 miles from US 421 to Backbone Rock. We had a great hike through the fog on Saturday to Abingdon Gap shelter where we camped with a couple of thru hikers on their 2,184 mile journey from Georgia to Maine. 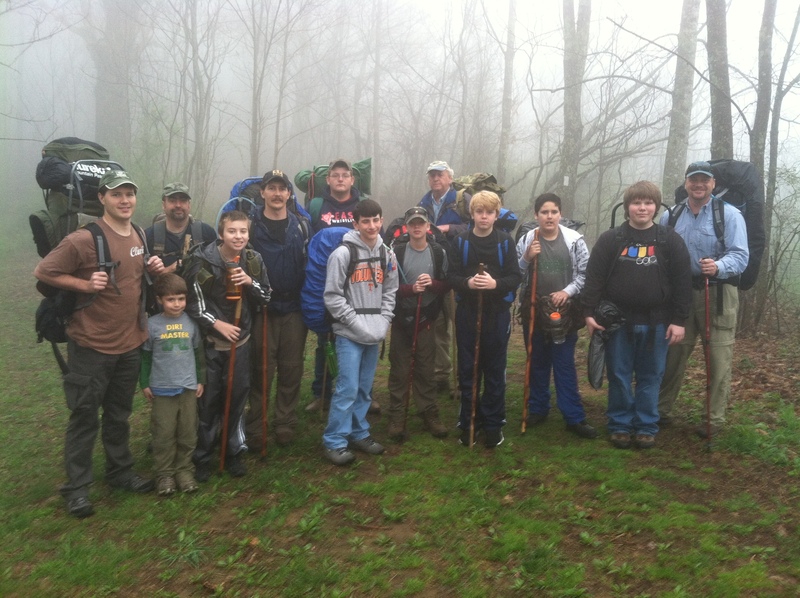 The weather was great on Sunday morning for our descent to Backbone Rock where pizza and cold drinks were waiting.